Packaging products effectively has never been as important as it is today, with stores packed full of a vast range of products from every industry there is more competition than ever to stand out from the rest. In order to be visible to your customers, as well as offering sustainable and responsible packaging, you need to think very carefully about your packaging solutions and how they are working for you. Your packaging solutions are often the first point of contact potential customers have with your brand and products. Therefore, it is vital to be creative and individual in order for them to choose you over your competitors. Most customers will look for originality when it comes to packaging solutions and will be drawn to products that are different from the rest. In recent years, customers and brands alike have been focusing more on the materials used in packaging, and the process used to produce them. This is down to calls for packaging solutions to be more environmentally friendly and sustainable. Online shopping is more popular now than ever, with more and more customers choosing to shop for all types of products on the internet as opposed to in a physical store. This means there is an increase in demand for packaging solutions that can easily be shipped and posted to customers’ homes. If your business operates online, the chances are you need to ship products directly to customers. Mailing boxes and postal sleeves are great packaging solutions for this, as they can be designed to safely transport products while also being compact enough to fit through letterboxes. Most postal sleeves and mailing boxes will come with a foam lining to protect products during shipping to minimise damage and avoid costly returns. Corrugated board can be used to produce cost-efficient packaging solutions for all types of products. 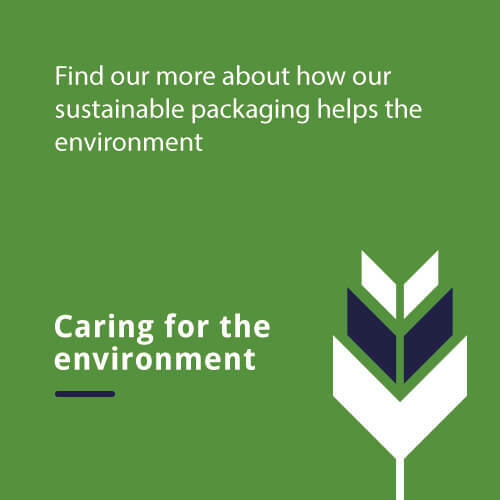 With a growing demand for companies to become more environmentally friendly, corrugated boxes are an excellent option for reducing your carbon footprint and minimising plastic use. The corrugated board has the ability to prevent moisture and protect products with additional cushioning. They are available in any size, shape and thickness, making them perfect for packaging solutions. As the world is focused on reducing the amount of waste plastic around, switching to paper tape from plastic tape can make a big difference to your packaging solutions. Paper tape has excellent bonding properties, meaning you only need to use one single layer to get a secure seal. Unlike plastic packaging solutions, paper tape is made from sustainable and degradable materials that are also recyclable. Combining paper tape with corrugated boxes will give you fully recyclable packaging solutions, where there is no need to remove the tape before recycling. Automated packaging solutions are a great way to create packaging for all different shapes and sizes depending on your individual requirements. Introducing automated packaging solutions offers an easy and straightforward production line for manufacturing. Any business that has a warehouse for their stock can benefit from automated packaging solutions, particularly if they are running a 24-hour operation. Nearly any time where a product line can be assembled into a uniform size and shape, then automated packaging solutions make sense. For really versatile and innovative product packaging solutions in 2019, you should consider on-demand packaging. On-demand packaging solutions can package according to the size and shape of a specific product, so whatever product you place on the machine, it will wrap the item depending on its dimensions and weight. On-demand packaging solutions are hugely beneficial as they save on time and labour costs, as well as saving space in shipping and transit. For warehouses this is a great packaging option as items can be packed when and where you want, saving on storage space and making logistics much easier. Having packaging solutions that can work in real time can bring some huge benefits to any company, and on-demand packaging is expected to be the future of packaging.